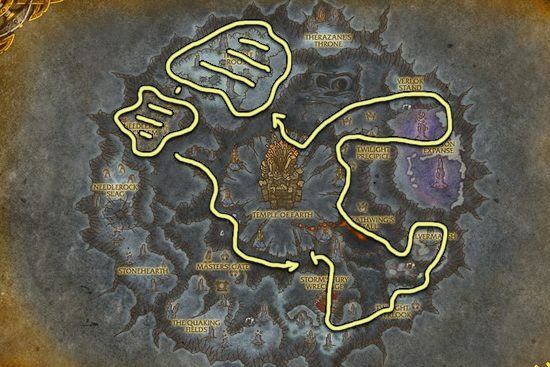 I made this Heartblossom farming guide to help out players who want to farm the herbs instead of buying them from the Auction House. The only place where you can get Heartblossom is Deepholm, there is no other place where this herb grows. You can only enter Deepholm after completing the quest called The Maelstrom. This quest requires level 82, so you won't be able to farm Heartblossom if your character level is lower.